Surprising isn’t it? 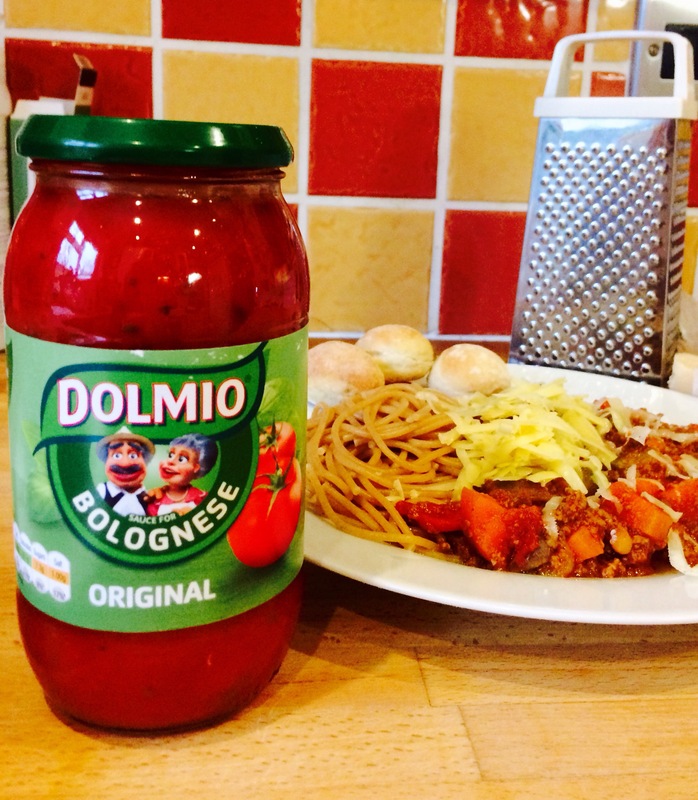 So Dolmio have asked for some help from BritMum bloggers to help spread the word…and the word is tasty! 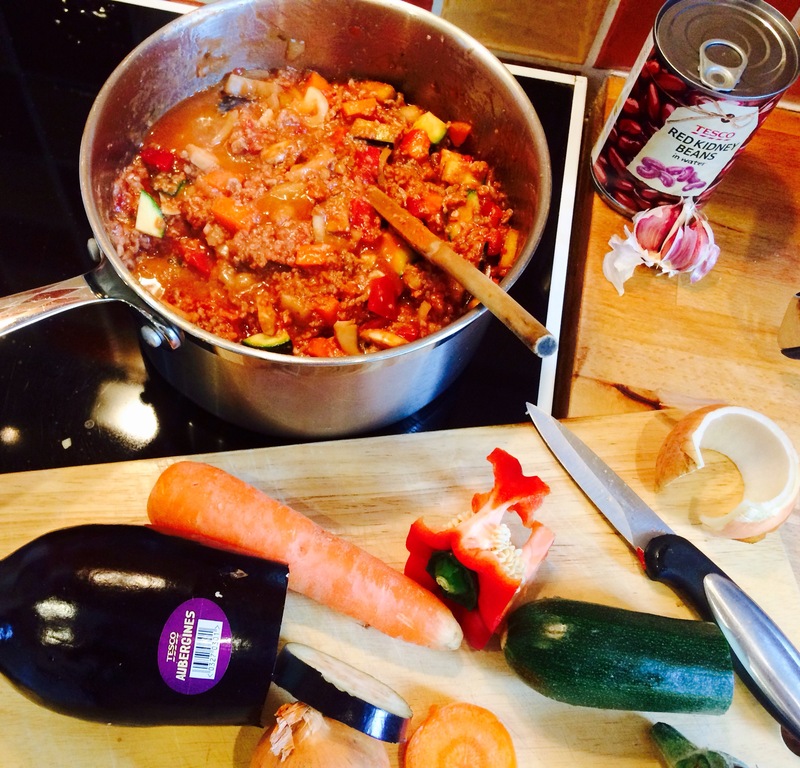 Dolmio kindly sent my family a haul of delicious meat, vegetables and Dolmio sauce to help show how easy it is to throw together a delicious and healthy mid week meal. 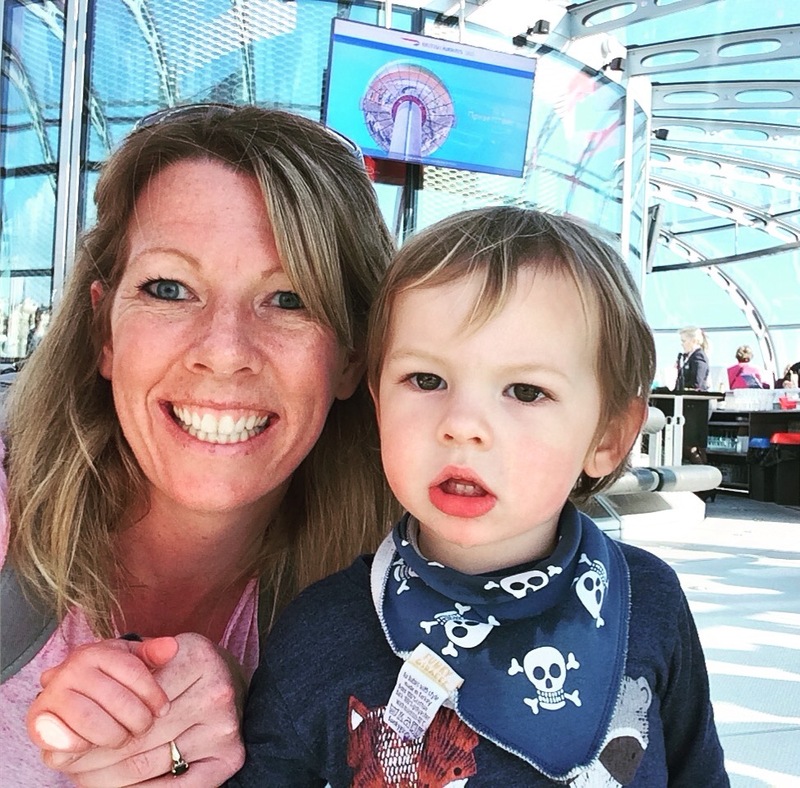 So put down those nuggets, the tinned spaghetti shapes and the fish fingers…quick, healthy food that the whole family will enjoy is here! 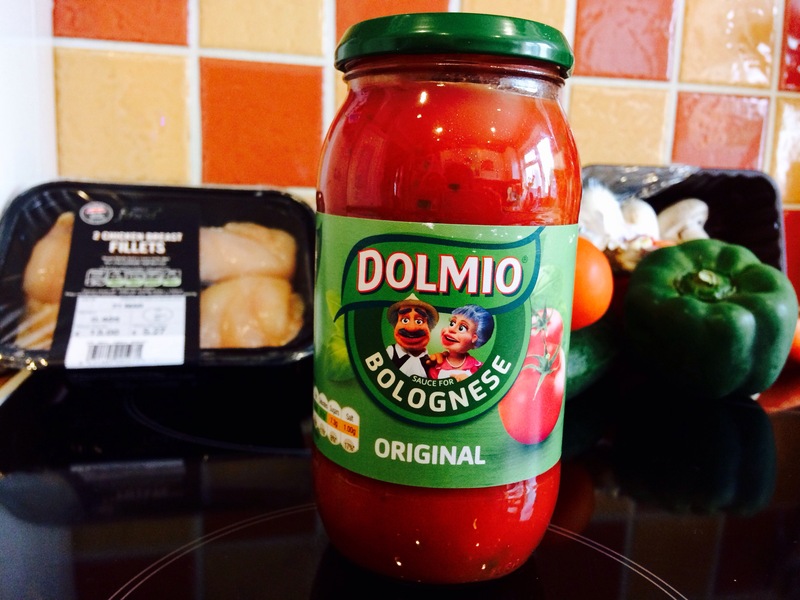 I often cook Spaghetti Bolognese, but I have to admit I usually go for own brand sauces…unless there’s an alternative on offer. 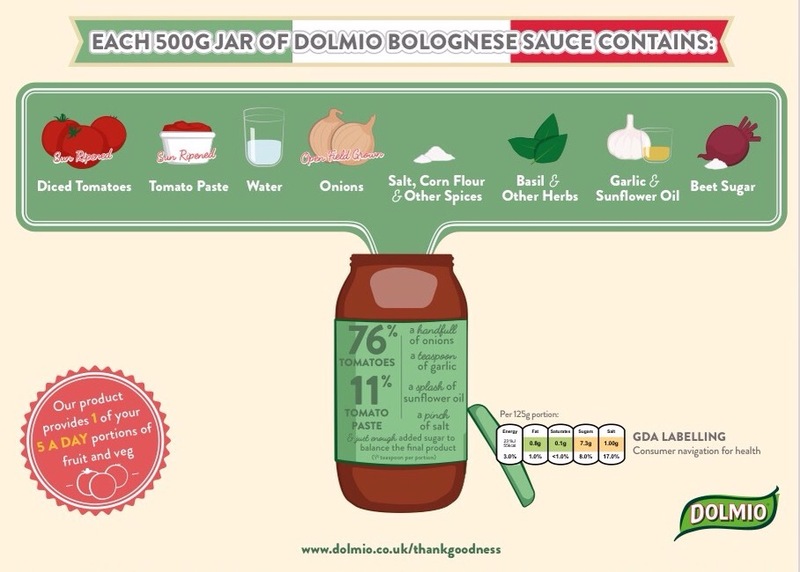 I know that a lot of jarred sauces like this are stacked with sugar…so knowing what is actually in a 500g jar of Dolmio will certainly sway me to buy again. 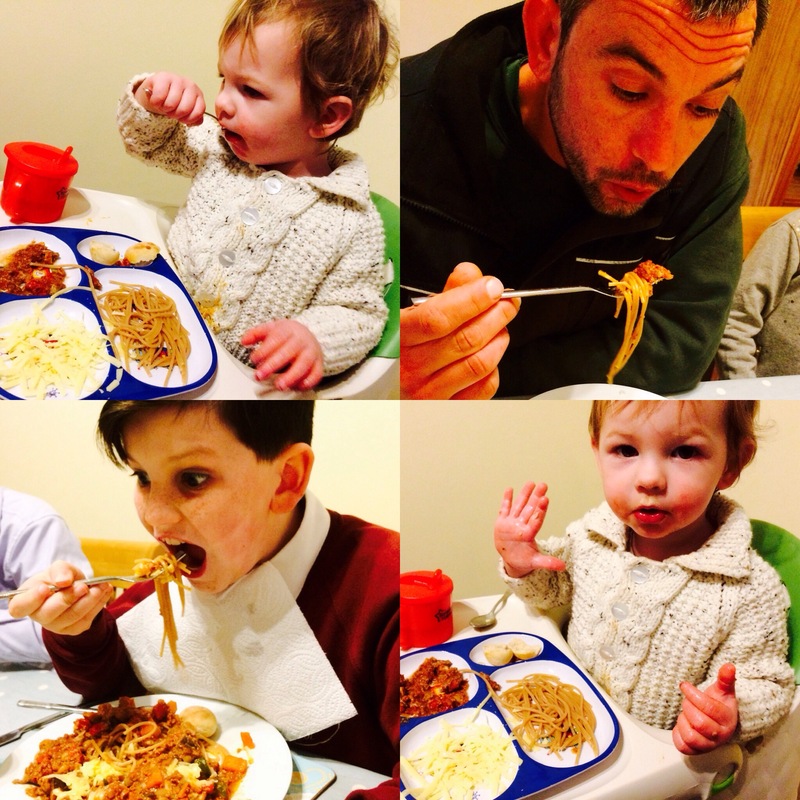 Not only that…there was a noticeable difference in the taste of the sauce. Brown the mince meat in a pan with a dash of oil. Add the onions and the garlic. Pour in the 500g jar of Dolmio. Mix in. Chop the vegetables into small 1cm size pieces. Add to the pan. Stir in. Leave to simmer for 20 minutes. Boil the whole grain spaghetti for 12 minutes. Drain the spaghetti – rinse with cold water. Serve with a hand full of grated cheese. And the taste testing? 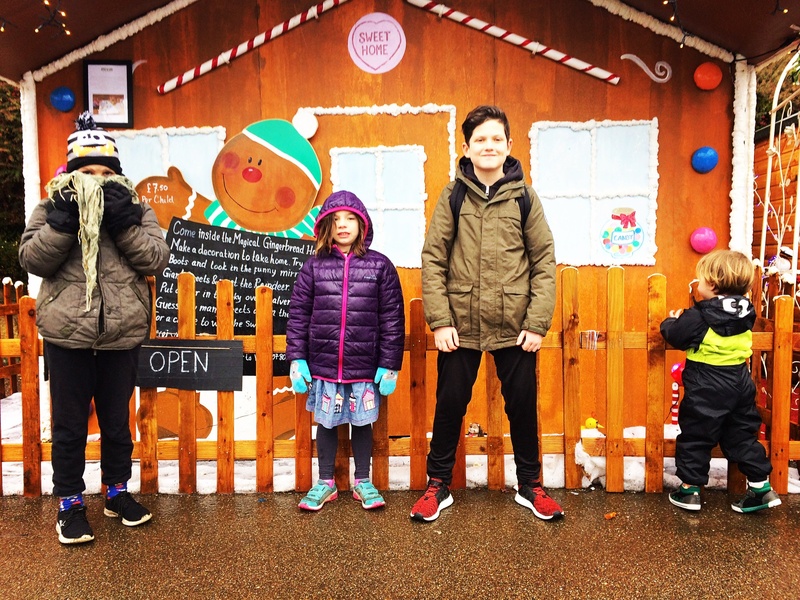 Well just take a look…..a host of happy eaters…! I’m not sure if this is a dish that is widely known…or something I’ve just made up to be honest. I’m a big fan of throwing together what’s available and I think this meal is a result of one of those episodes. Either way it’s a firm favourite in our house. 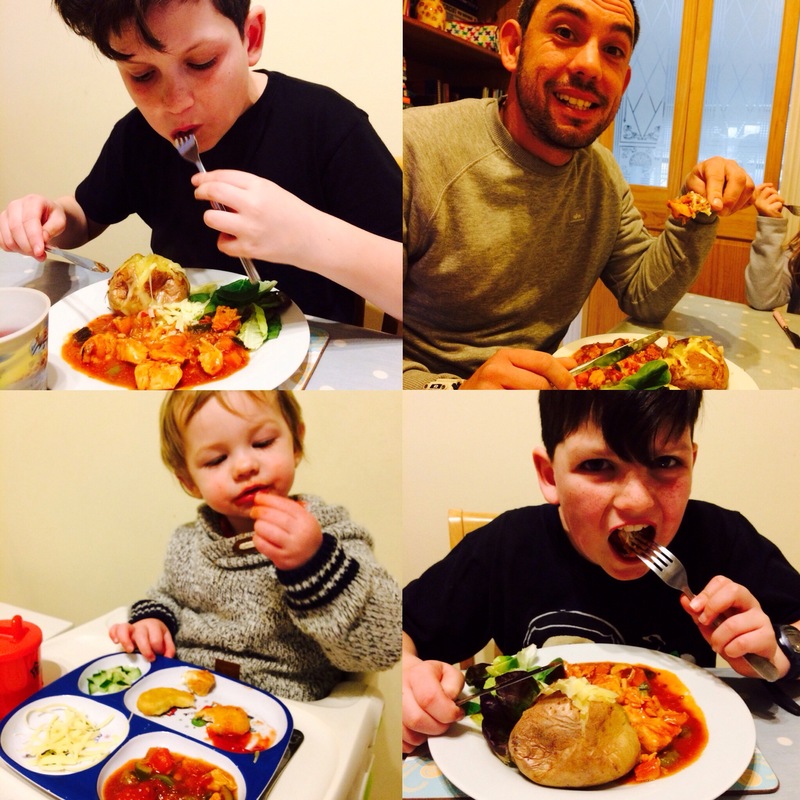 We don’t eat jacket potatoes that often as the kids often have them for lunch at school…but when they’re cooked right…slow and crispy..they’re just the best! 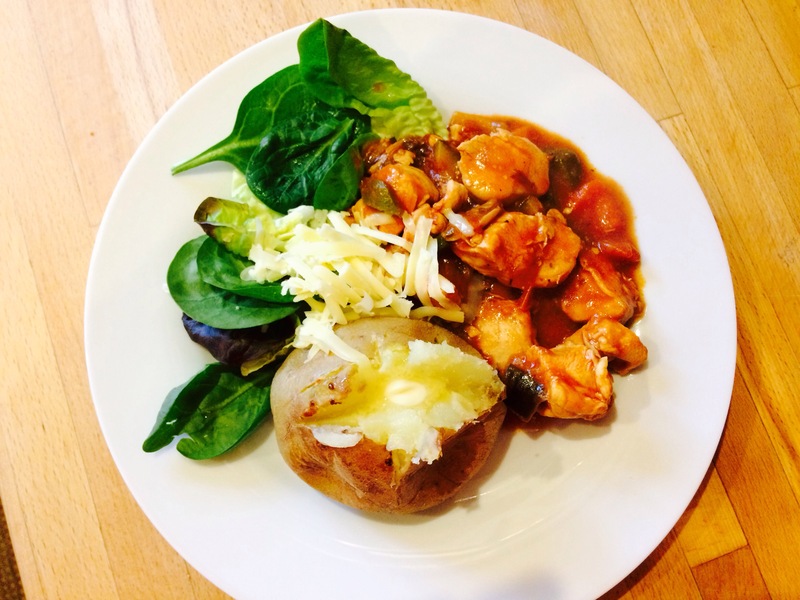 The Meditteranean Chicken is a delicious tomato chicken ragu which goes so well with a spud. Top it all off with a sprinkle of cheese and a side garnish for the perfect school night healthy tea. Place the potatoes in the oven on a baking tray at 170 degrees ensuring the potatoes are pierced first. Allow 1 hour to cook. Add a small amount of oil to a deep pan. Add the chicken. Cook the chicken for 5 minutes. Pour in the 500g jar of Dolmio sauce. Add the rest of the vegetables – allow to simmer for 20 minutes. Serve alongside of the jacket potatoes with a salad garnish and handful of grated cheddar cheese. So come on! When’s a your Dolmio day? 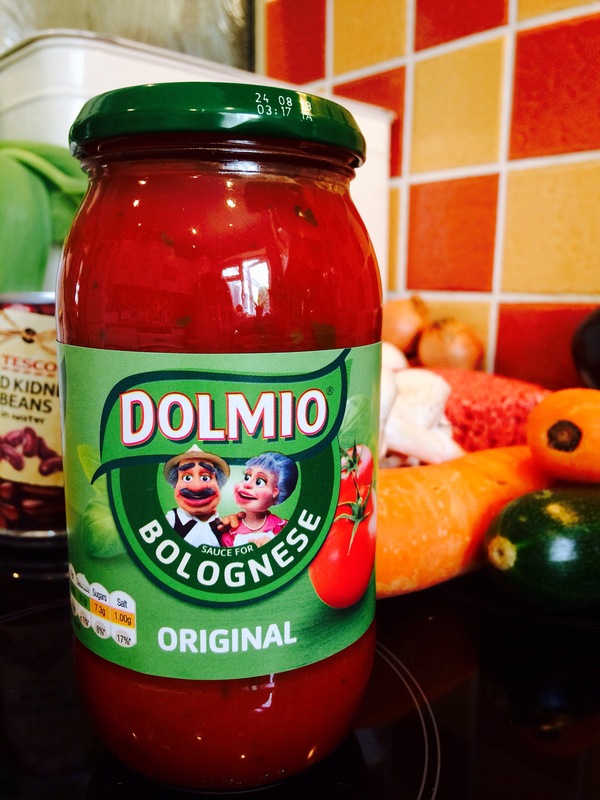 This post is an entry for the #Dolmio #ThankGoodness Challenge, sponsored by Dolmio. www.dolmio.co.uk/thankgoodness. 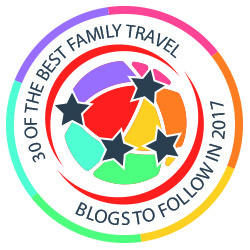 Everyone looks so happy – commenting for myself and behalf of BritMums and thanking you for taking part.